Today, Hy-Vee, Inc. announced that 100 percent of its private-brand shelf-stable tuna products are now sourced from environmentally preferred fisheries. Hy-Vee, Inc. announced today that it is partnering with first responders in seven cities across the Midwest for a community initiative called Hy-Vee Hams for the Holidays. Hy-Vee, Inc. now offers E15 at five locations across its eight-state region. The Hy-Vee convenience store located at 3120 Agency Street in Burlington, Iowa, is the latest store to offer the eco-friendly fuel option. Hy-Vee, Inc. has expanded its pharmacy access to Manson, Iowa, with a new telepharmacy location that opened last week. 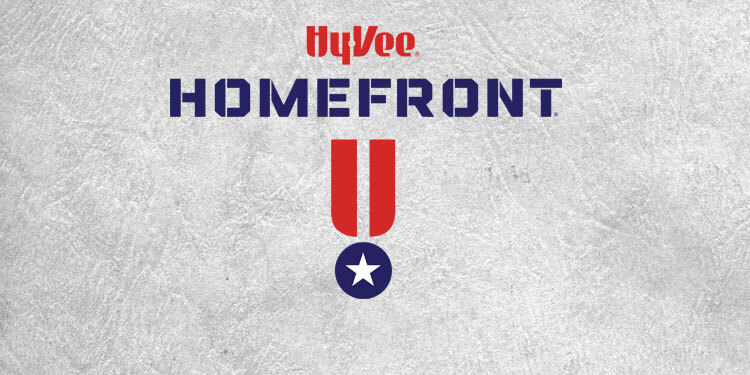 Official rules for the Hy-Vee Fuel Saver + Perks® Performance Inspired Sweepstakes. November 22, 2017 | News & Press Releases Hy-Vee, Inc. is recognizing the retirement of its Vice Chairman, Executive Vice President and Chief Administrative Officer Andy McCann, following 41 years of service, and the promotion of another top executive, Sheila Laing, to a new leadership role. November 21, 2017 | News & Press ReleasesHy-Vee, Inc. announced today that it will open its first Wahlburgers restaurant franchise at the Mall of America® in Bloomington, Minnesota, this summer. November 20, 2017 | News & Press ReleasesA Norfolk, Nebraska, man will be honored this week for saving the life of a local woman who was critically injured after being struck by a vehicle as she waited near her broken down car during a winter snowstorm last December. November 20, 2017 | News & Press ReleasesA Dayton, Iowa, man will be honored this Friday for saving the life of an 8-year-old girl who was alone and struggling to keep her head above water at Lake Rathbun in southern Iowa this summer.